Back in the day, one of the many good qualities my Dad's manager Steve Blauner had was the ability to spot talented and loyal people and get them onboard the Bobby Darin team. Over the many years of his working with me to keep my Dad's memory alive, he has not lost any of his eye for talent. I have given a lot of thought to this and I believe that the single most important asset Steve and I have had over the past 15 years or so is... Jimmy Scalia. To be historically accurate, it was Steve who first discovered Jimmy and believed in him; I was just part of the rooting section at that point! For those of you who were involved with the Darin Lifetime events some years back you know how much hard work and creativity Jimmy brought to the table. He was the man who from tech issues,to finding archival footage to simply taking care of logistical matters he was ALWAYS the go to guy. For those of you who have enjoyed CD's such as "Aces Back to Back", "Songs from Big Sur" to the recent " Milk Shows" release ,these all are the DIRECT result of Jimmy's talent, and hard work. How about the awesome BBC radio special a few years back? In point of fact, the list is to long for me to cover; suffice it to say that many, many of my Dad's releases over the years have in some way or another had Jimmy's involvement/imprint behind the scenes. 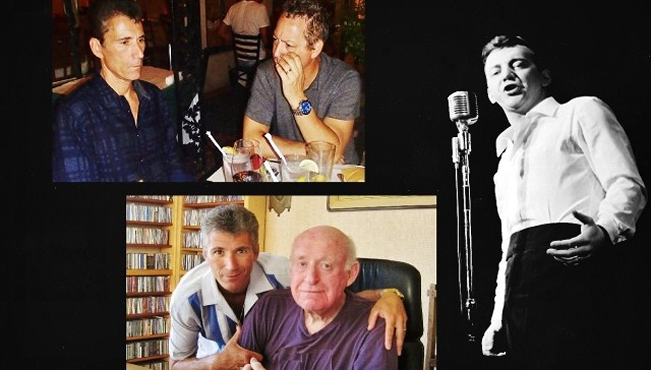 Let us not forget his work on the original Bobby Darin website to the current FB page you are reading this on. While I enjoy this page very much and contribute a bit now and then,I'm the first to admit that it is Jimmy and his partner who keep it going everyday for all of us to enjoy. He also has been a constant, reliable and professional contact between the public and I as well as various commercial entities when they first inquire about a Bobby Darin project, etc. In essence, he has worn many hats for team Darin and has always handled things as my Dad would want it; with class and perfectionism. In the not too distant future I hope to have a couple of very exciting things to announce and I hope that that Jimmy will once again be at the forefront. He does all this amazing work for my Dad because it is a labor of love and because we share the passion of never, ever, ever letting my Dad's enormous talent and contributions to entertainment be forgotten.